When it comes to your custom designed bathroom, Guillen’s has the full line of brushed gold faucets, brushed gold shower heads, and many other options for you to choose. Come in today and see the difference. Come visit our showroom and let our friendly staff guide you in choosing the best brushed gold features for yourself! 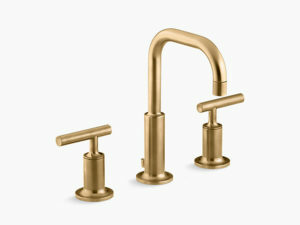 This contemporary brushed gold faucet reinvents modern kitchen and bathroom appliances. In addition, we carry replacement parts for all Guillen products available. 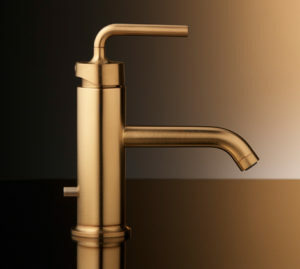 To view and try our wide assortment of gorgeous products like this brushed gold faucet in person, stop by our showroom at 11040 West Flagler Street in Miami. 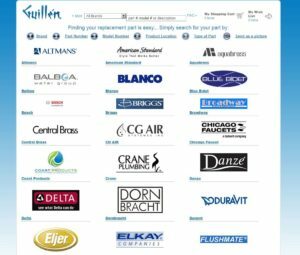 Our friendly staff will help with any questions you may have and are always eager to share ideas to help your bathroom or kitchen project run smoothly. To get any questions about this brushed gold faucet answered online, contact us here. Visit our Online Store Now and get your order delivered right to your doorstep! We also offer an online store where you can order parts as well that can be delivered directly to your doorstep. Plumbers and contractors have depended on the Guillen’s since 1973 to get them the right part, right from the start and we’ll do the same for you. Thanks for visiting our site! Just a short drive from anywhere in Miami! Did you know that Guillen’s Plumbing is conveniently located in the West Miami area close to Sweetwater, Coral Gables, Doral and West Miami? With the expansion of the new Turnpike Extension known as Tamiami Trail, We are just a short 10 minute drive from any of these locations. Come visit us today! For questions about any of our products or services, please use the form below and an associate will contact you as soon as possible. 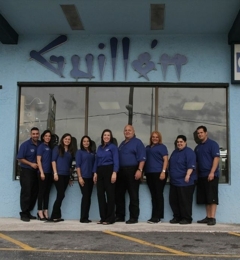 Guillen's was founded in Miami, Florida in 1973 by Master Plumber Jose Guillen and his wife Yolanda. Guillen's first plumbing supply and showroom was opened two years later.